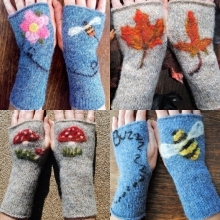 Just a few of my Fingerless Mittens with Orignal Needlefelted Designs in Pure Wool. I repeat similar ideas, but no two are ever exactly the same. Please visit my folksy page for full details of whats available. 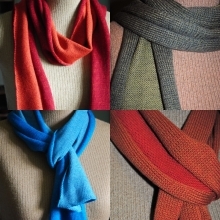 My Two-Tone Pure Merino Scarves come in a range of colourways to suit all styles and outfits. From Hot Reds to Cool Blues. New colour combinations coming all the time ! 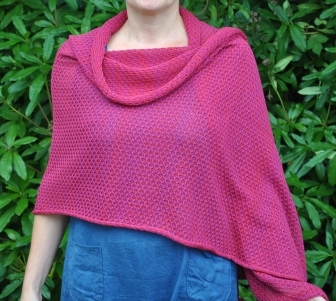 The Large Mantilla Shawl is in Pure Cotton with the same Lacy Knit as the Scarves. 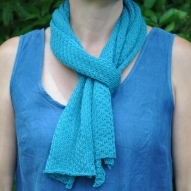 It is large enough to wrap around the shoulders and back over to form a drapped neckline. 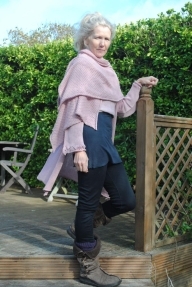 it is perfect both for formal and informal occasions - dressing up a pair of jeans of wrapped around a smart wedding outfit for the extra warmth the British climate often requires. 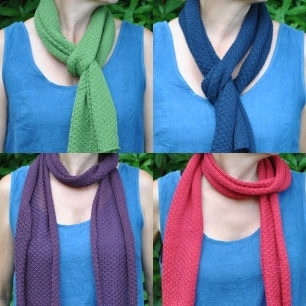 The Lacy Cotton Scarf comes in a very large range of colours and is soft and light to wear. Anyone with allergies to wool or synthetics will delight in this. 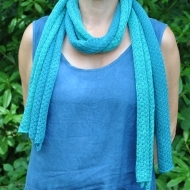 It is long enough to wrap around the neck at least a couple of times for warmth or worn loose it adds a dash of colour.